Laboratories present a significant risk of fire. Detecting a fire in its early stage is critically important for reducing the risk of injury to laboratory personnel and the damage to equipment. Our suppression systems can detect and suppress a small fire before it grows and requires extinguishment by the building’s sprinkler system. 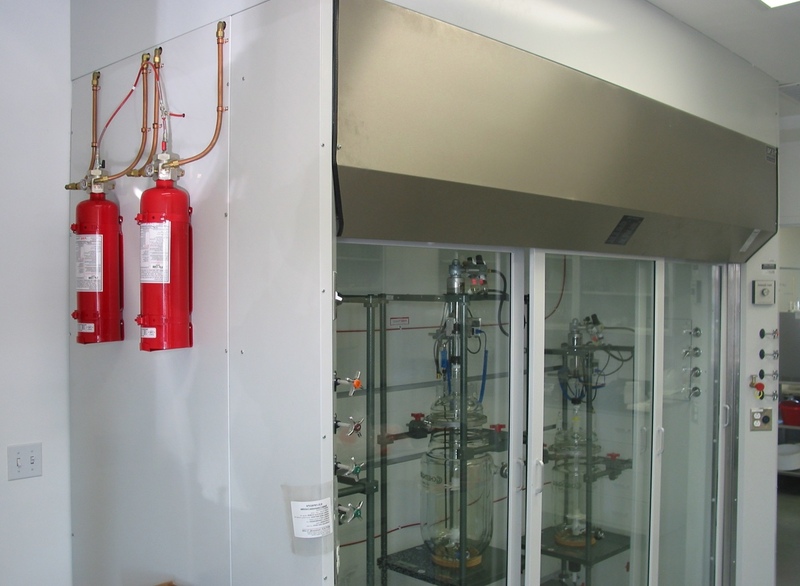 Laboratory fume hoods help control the risk of fume inhalation, but they provide little to no protection against the risk of fire. The presence of ignition sources, such as gas burners, hot plates, and pyrophoric materials—and the inherent volatility of chemical compounds and reagents—leads to a significant fire risk.